I thought I would do a mini review of something I’ve seen lately. It’s really cool and I thought a lot of people would like it. I’m always on the lookout for ways to improve my drawing skills. I do this by hunting around the Internet to see if I can find new tutorials. Yesterday I stumbled across a cool pencil drawing site that I thought was pretty awesome, especially if you want to draw realistically. 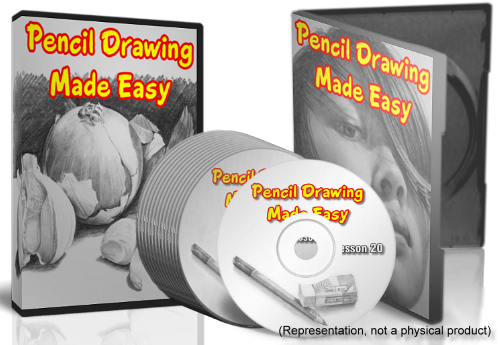 It’s a pencil drawing course that specializes in taking beginners and teaching them how to draw in a realistic style. The course itself is an online video so you can access it from anywhere – even on your tablet and phone. Each class is two hours long, you can even draw along while watching the video. The course starts off by showing you all the equipment you need and the basic strokes. What I like is that each lesson builds on the previous so you are never thrown into the deep. Each class has its own concept or technique that you need to master. For example, in the second class, you learn how to spot the different tonal values. In this class, Nolan (the instructor) uses different Styrofoam objects to show you how the light affects those values. The way he explains it makes it so easy that anyone can understand it. With each class, you get a downloadable template which you can print out and use that to transfer to your drawing paper. You then also get a high-quality photo of the reference and the final drawing. They are laid out in the pdf in such a way that when you print it out, each is exactly the same size. This makes it easy to judge sizes while drawing. In each class, you complete a drawing project. Like in the second class you draw a realistic spoon. The next four lessons are also still life drawings. There are an onion and garlic, still life, transparent wine glass, rose, and an apple drawing. 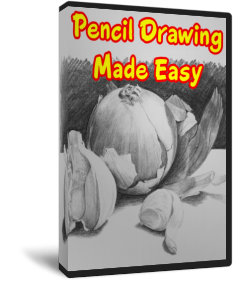 In each of these, you learn all about creating texture and depth in your drawings as well as drawing negatively and how to draw reflective objects. From there you start drawing portraits. The instructor shows you how to draw all the major features like the eyes and mouth. What I liked was that he shows you what to look out for with each one. Once you have completed, say the ear class, you will be able to draw any ear and not just the one from the class itself. It’s massive (there is over 32 hours worth of video in this course). The course is brand new, so it is currently on a launch special at less than half price. You should go and see it for yourself, you may still be able to grab that special. Click on the photo below to be directed to Nolan’s website. Check it out and SHARE if you can!